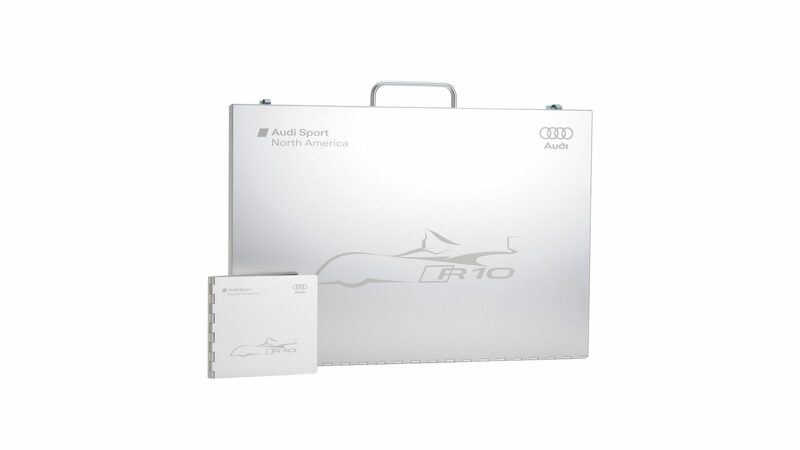 When Audi launched the R10 TDI, a concept car that would make history by winning the legendary 24-hour Le Mans with a quiet V12 diesel engine, an agency seeking Audi’s US account came to us for help in packaging their pitch. They wanted a system of media presentation products, all branded with the R10 graphic, that would match the vehicle in terms of its ability to turn heads, and they needed the products fast. Working together with the agency’s account executive, we assembled a set of stock products that could be laser-etched and shipped quickly so the pitch could happen right away. The agency liked what we came up with and evidently Audi liked it even better - after the successful pitch, the agency won the account.